A freshly cut dorsal fin from a scalloped hammerhead shark. When I was a kid there were two movies that scared me to death: The Wizard of Oz and Jaws. The Wicked Witch of the West was the scariest thing I had ever seen – until I was 14 years old and Jaws came out in the theater. I went with some friends and the ticket line wound around the building. There was such hype about this new movie, and we were so excited to see it that we sat in the front row. The first scene was shocking. We covered our eyes through the next five scenes. Everything was fine until Chief Brody, aboard the Orca, was scooping chum into the water and the shark made its first full appearance at it lunged out of the water. “You’re gonna need a bigger boat.” The theater erupted in shrieks. Now, I lived in St. Louis as a kid and had never seen the ocean so, like millions of other people, I was now terrified of what lurked beneath the surface of something I had never seen. It wasn’t until many years later that I had an opportunity to snorkel in the ocean, and my life changed forever. I saw wonder. I saw beauty. I was hooked. As Jacques Cousteau said: “The Sea, once it casts its spell, holds one in its net of wonder forever.” I learned how to scuba dive and entered the underwater world. And the first time I saw a shark, my fear turned to awe. Peter Benchley was shocked and saddened by what he called “the momentary spasm of senseless, macho shark killing” after the release of Jaws. He spent the next 30 years until his death in 2006 fighting to protect sharks and to advocate on their behalf. Unfortunately, the damage had been done, and the senseless killing of sharks was not a momentary phenomenon, but continues to this day. In fact, the fins from as many 73 million sharks enter the global fin trade every year, primarily driven by the market for shark fin soup, a luxury item popular in some Asian cuisines. 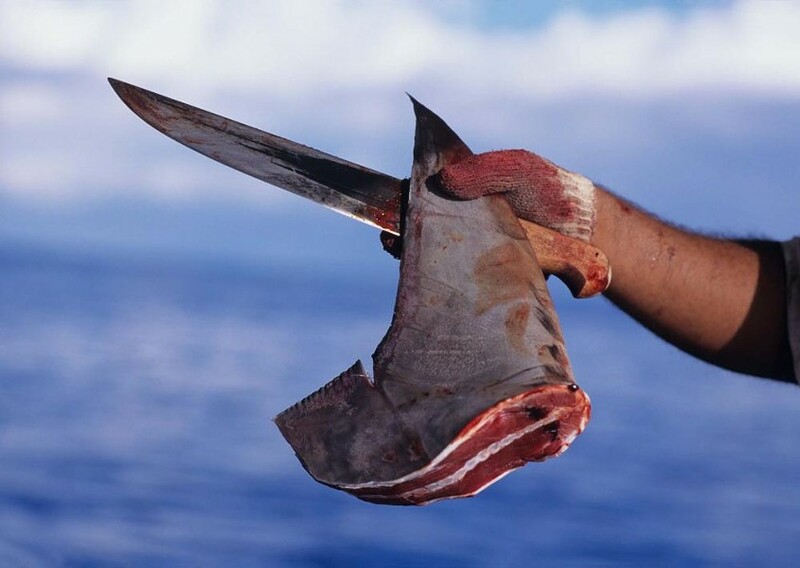 Shark finning is a particularly brutal and barbaric practice in which the fins of the shark are cut off while it is still alive and its body is thrown back into the sea, where it will either drown, bleed to death or be eaten alive by other fish. Although shark finning is illegal in U.S. waters, fins can still be bought and sold in the United States, and we are importing from countries where there are inadequate protections in place for sharks. The Shark Fin Sales Elimination Act (HR 1456) and its companion bill in the Senate (S 793) have been introduced to end the sale of shark fins in the United States completely. HR 1456 was introduced in the House by representatives Ed Royce (R-California) and Gregorio Kilili Camacho Sablan (I-Northern Mariana Islands). S 793 was introduced in the Senate by senators Cory Booker (D-New Jersey) and Shelley Moore Capito (R-West Virginia). Clearly there is bipartisan support for the bill because compassion transcends politics. HR 1456 would ban the shark fin trade in the United States and reinforce the status of the United States as a leader in shark conservation, and is the best way to ensure that the U.S. is not supporting shark finning. To protect sharks, we need to end the demand for shark fins, starting here at home. It is time for Congress to demonstrate leadership and pass this important legislation. As the apex predator, the shark keeps the marine ecosystem in balance. Its absence can have devastating effects on the health of the ecosystem, to say nothing of the economy of our state. The Shark Fin Sales Elimination Act is especially important for us in Florida. As the apex predator, the shark keeps the marine ecosystem in balance. Its absence can have devastating effects on the health of the ecosystem, to say nothing of the economy of our state. In 2016, an independent economic report commissioned by Oceana analyzed Florida shark tourism and found that shark encounters generated about $221 million in direct expenditures, which fueled 3,797 jobs and more than $116 million in wages. The total economic impact in 2016 alone for shark encounters, which includes indirect expenditures, was over $377 million. The simple fact of the matter is this: Sharks in Florida generate more revenue alive and in the water than in a bowl of soup. As of now, over 300 members of Congress (House and Senate) have co-sponsored The Shark Fin Sales Elimination Act, but one key Floridian member has not. Congressman Daniel Webster is the vice chair of the House Oceans Subcommittee and his support on this bill is critical for its success, but he has not yet signed on to it. I urge all Floridians who care about the ocean and who care about our state to contact Rep. Webster’s office and tell him to commit to being an advocate for sharks, for healthy oceans and for Florida, and support the Shark Fin Sales Elimination Act. You can email Rep. Webster or you can call his office at 202-225-1002. With 88 percent of Floridians in support of the bill, it’s clear that Rep. Webster has an opportunity to demonstrate his leadership and legacy by helping to advance this bill. The tragic legacy of Jaws still lives on, and the horrific slaughter of sharks continues to grow. As a clergyman, I see the world through the eyes of faith and wonder. Once I had the privilege of entering their world and seeing them up close in their natural environment and not on a movie screen, I saw sharks for what they really are. They are beautiful. They are graceful. They are majestic. They are the artwork of God, and an integral part of the web of Creation. We need them far more than they need us. Yes. My childhood fear of sharks is gone. It has been replaced with a deep sense of respect and awe. But I have to admit, green-skinned ladies with pointy hats still scare the dickens out of me. Rabbi Ed Rosenthal is the Executive Director of the Hillels of the Florida Suncoast and serves as the Campus Rabbi at the University of South Florida, University of Tampa and Eckerd College. 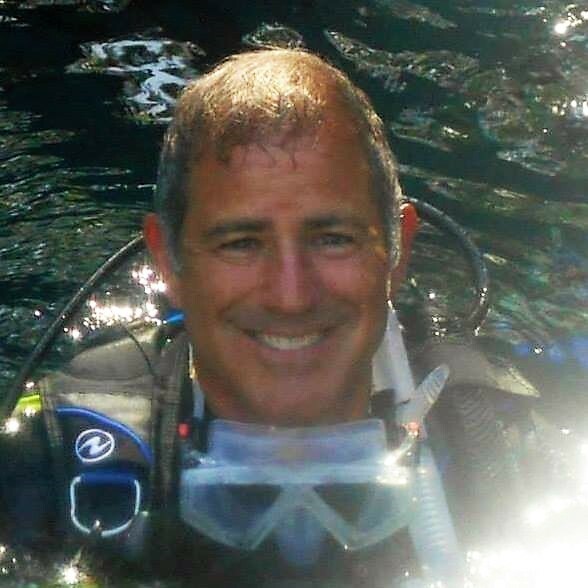 He is also the Founder of Tikkun HaYam/Scubi Jew, a faith-based marine conservation organization that promotes protection of the marine environment from the perspective of the Jewish tradition (repairthesea.org). He is also a volunteer diver at the Florida Aquarium and loves diving with sharks.